As usual, I’m late to the party. 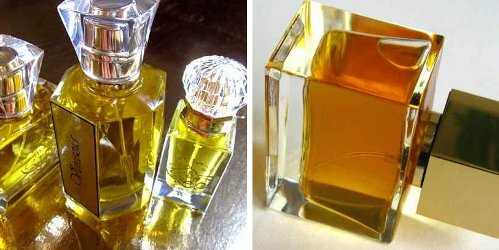 Perfume house La Via del Profumo (also known as AbdesSalaam Attar Profumo) has already garnered fans and an article in The New York Times, even though the fragrances are difficult to find and the perfume house’s marketing budget is zilch. Kevin has been reviewing La Via del Profumo’s offerings for five years. You’ve probably known about them for ages. But for me, they’re new. Last week, I smelled two of the house’s fragrances for the first time: Venezia Giardini Segreti and Palermo Don Corleone, both from La Via del Profumo’s Italian series. For other people as behind as I am, let me bring you up to speed. La Via del Profumo’s perfumer and founder is AbdesSalaam Attar, born in France as Dominique Dubrana and now Sufi and living in Italy. He’s self-taught and works only with natural materials. In short, he’s about as far from the world of industrial French perfumery as you can get and still call yourself a nose, but whatever he’s doing seems to be working. His fragrances have ended up on lots of “best of” lists, including Kevin’s — and Luca Turin’s. If the description is accurate, Venice’s secret gardens must nearly vibrate with jasmine. Besides a hint of orange blossom and rose as the fragrance unfolds and a whisper of animalic dirtiness, Venezia Giardini Segreti lets loose a full-voiced jasmine with a subtle chorus of supporting florals that add a lemony creaminess to the composition. It’s a joyous-summer-morning sort of perfume, and an hour in the morning is about as long as it lasts on my skin. If money weren’t a concern, it would be nice to have a tiny vial of Venezia Giardini Segreti in my purse to dab on a handkerchief throughout the day. Palermo Don Corleone’s balance between tobacco and vanilla hits my sweet spot for a winter fragrance, and tuberose binds them together beautifully. This isn’t a hothouse, Elizabeth Taylor sort of tuberose, but tuberose absolute, green and almost vegetal, and it transforms what might have been cloying into a fragrance I’d happily wear all day. A salty tickle of ambergris gives a skin-like feel to the vanilla. Despite the mafia godfather’s name on the bottle, there’s nothing gatling gun and spaghetti house about Palermo Don Corleone. Instead, it smells more like the old wool coat of a pipe smoker tossed over a wooden chest near a window open to early spring. It’s so simple, and so elemental. The fragrance lasts about four hours on me and is never loud but always present. Its vanilla comes out more as Palermo Don Corleone wears on skin. Venezia Giardini Segreti Eau de Parfum comes in 15.5 ml ($76.50); 33 ml ($156.50); and 53 ml ($255.50). Palermo Don Corleone Eau de Parfum comes in 15.5 ml ($54.50); 33 ml ($110.50); aand 50 ml ($158). It’s also available as a pure attar at $198.50 for 3 grams. To purchase, visit the La Via del Profumo website. Great reviews Angela! Your descriptions sound interesting. Makes me want to hop on a plane to Italy. A lot could tempt me to hop a plane to Italy this winter! I’ve just looked at the house’s website, and did not see any information about retailers. Is this available only directly from the house? I am in Italy for another week, and would love to sniff some of these in person if anyone in Rome carries them. I continue to have not-great luck with frangrance shopping here, although I did buy a PdN Résine de Pin candle for holiday cheer, and ordered a Christmas-stocking’s worth of tiny decants and samples that will be waiting for me at home by New Year’s. As far as I know, you have to order directly from La Via del Profumo, although it does sound like there are groups of fragrance lovers who swap decants and samples. I could be wrong, though, and maybe somewhere in Rome does have testers! That would be wonderful. I’d love to try both of these. Thanks for reviewing them and reminding me that one day I really need to splurge and buy a set of their minis. You must purchase a minimum of 4, and I believe they’re 4-5ml bottles. I purchased minis of Tawaf, Tasneem, and Sharif from someone in one of the Facebook groups. I love Tawaf (jasmine) and Tasneem (ylang ylang). Sharif is very masculine and animalic. I gave it to my boyfriend, and it smells great on him. Interesting that the description on the site doesn’t list the animalic ingredients used. It just says non-vegan. I remember seeing on his old website that Sharif contains real castoreum and also civet, I think. I think you’re right about that–he uses the real thing. To me, La Via del Profumo is all new! The two samples I smelled make me want to smell more. I may need to look at the website again and find 4 of them I’d like to try. Oh, I’m going to wear Venezia Giardini Segreti today! Thanks for reminding me I own it! You’re welcome! For some reason, my cat Bitsy La Mouche keeps jumping up on my desk and running off with my sample. She can’t resist something in that one. Maybe it contains hyraceum — I remember Denyse writing that her cat Jicky was crazy about it. He also uses some other real animalics, such as castoreum. The Don Corleone sample went missing, too, and I found it buried under the hall rug! I’ve yet to try my first La Via del Profumo, and I’ve been wanting to for a long time. They sounds so interesting and so different from other stuff. Thanks for your much valued opinion! You’re welcome, and I’m simply sorry these aren’t easier to find! Angela, Surrender to Chance carries samples and decants from this line. Look for AbdesSalaam Attar under brands. The have not only the Scents of the Soul and Private Collection series, but also the “Special Scents,” which are extracts and tinctures of individual perfume ingredients. I have ordered directly from Italy via his online store, too, which worked well. He offers samples and smaller sizes of everything.